A Chattanooga Carpet Cleaning Partnership! 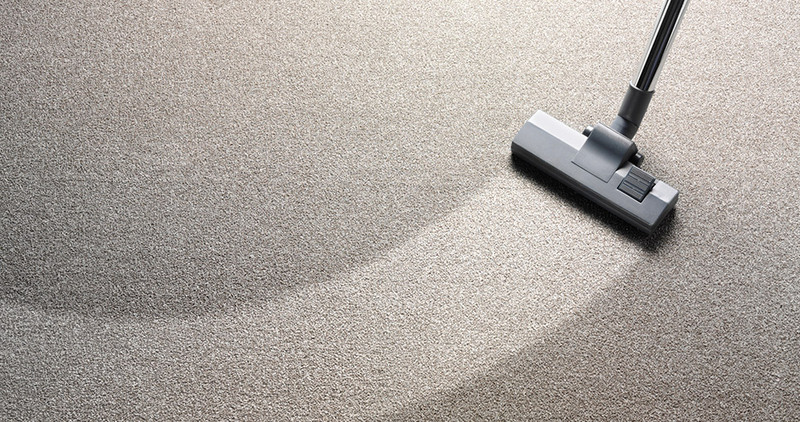 To keep your carpet at peak performance, it is recommended to have it deep cleaned at least once every 12-18 months. A properly cleaned carpet can improve the air quality in your home and will create a noticeable difference for asthma and allergy sufferers as it removes stubborn, pollen, dust and pet dander. Carpets do vary from home to home, so it’s vital you choose an experienced company with years of experience. We are a family-run carpet cleaning company offering a wide range of carpet cleaning services to ensure your home is in great shape and your air quality is optimal year round. We gladly provide residential and commercial carpet cleaning services. Using our strong industry contacts, we also cover a wide range of carpet materials and types. Give us a call at (423) 702-6496 and fill out the form for a quick free quote. When we first started cleaning upholstery and carpets, we made the commitment that our Number One Priority would be customer service, and provide the best steam cleaning services at affordable prices. The dedication and commitment that we put into pleasing our customers earns us customer praise and referrals that has established Oxygreen & Chattanooga Carpet Cleaners, LLC as the best carpet cleaners in Chattanooga, TN. Every year our customer base continues to grow through word-of-mouth referrals that our happy customers provide us with for the services we have performed throughout Chattanooga and the greater Chattanooga metropolitan area. By pleasing you through providing you with high-quality cleaning services at affordable prices, we hope that you will tell your family and friends about us. Many times, homes in our area need other things cleaned besides their carpets. Chattanooga Carpet Cleaners, LLC also provides expert natural stone cleaning, tile cleaning, hardwood floor cleaning, mattress cleaning, stain and pet odor removal, rug cleaning and upholstery cleaning. We also provide car upholstery steam cleaning service and handle water damage with as much care and skill that we do when facing any other type of cleaning job. To make you happy involves providing you with an honest price quote. We do not “adjust” or change our carpet cleaning prices (this is a highly questionable type of tactic known as “bait-and-switch” that some cleaning services unfortunately engage in). Companies that offer cheap prices in order to secure your business might end up asking you for more money after they finish the job, or will perform an incomplete and brief cleaning and not spend the necessary time to truly get your rugs, upholstery and carpets really clean – we also do tile and grout! We take a different approach. Our quotes and charges are based on fair prices, and owe offer our 100% Guarantee that our team will spend as much time as necessary to clean our tile, rug, upholstery, carpets or car to your complete satisfaction. We do not consider our cleaning job to be done until you are completely happy with our results. When you schedule an appointment for cleaning services via this website, you will receive additional discounts off of our regular prices. Our online Quick Quotes will instantly tell you the price that you will be paying to have your upholstery or carpet cleaned. There are no surprises and nothing hidden. We offer a 100% guarantee on all of our work. So you do not take on any risk. Learn for yourself all of the reasons why we are the best carpet cleaner in the Chattanooga, TN area. On all of our carpet cleaning services we offer upfront honest prices and no hidden fees. So that means that whatever price you are given on our website or over the phone is the price that you will pay. No Surprises. No gimmicks. No games. When you buy carpet, you are making in long-term investment for your business or home. Having the right carpet cleaning service in Chattanooga can help to ensure that you receive a great return on your investment. As one of the leading carpet cleaning services around, we provide customer dedication and quality service for all of the steam cleaning needs that you have. To maximize the appearance and life of your upholstery and carpets, it is essential that they have regular care and maintenance. Without proper maintenance, upholstery and carpet can wear prematurely, have an appearance that is sub-standard, and force you to reinvest into an expensive replacement. Frequently, homeowners make the assumption that their upholstery or carpet doesn’t need to have any maintenance performed because it doesn’t appear to be dirty. However, even upholstery and carpets that look immaculate still collect soil, dust and germs below the surface. These can all cause the carpet fiber to become seriously damaged. As the premier carpet cleaners in SE Tennessee, we can give you our assurance that your carpet will be properly cared for. Our maintenance plans give your carpet the best opportunity for staying functioning and beautiful for many years to come. Homeowners are aware that carpet cleaning doesn’t just simply prolong the life of their upholstery or carpet. It provides health benefits as well. Since outdoor air contains car exhaust, cigarette smoke, air pollution, bacteria, fungus, pollen and hundreds of other types of chemicals, carpet is able to absorb many of the dangerous carcinogens and allergens. Cleaning your carpet on a regular basis can help to remove those elements and leave you home healthier. Many renters and homeowners realize that it is critical to have their carpets cleaned regularly. To preserve health and prevent damage, a majority of carpet manufacturers recommend that your carpets be professionally cleaned every 12 months at least. Some carpet warranties even require this. However, some folks don’t know where to start. There are many different carpet cleaners for business and homeowners to choose from. Dedication to customer service, experience and reputation and vary greatly. We recommend the following: – Ask for references from past customers. – Make sure that the technicians are experienced and trained. – Make sure that your satisfaction is guaranteed. Most homeowners realize that carpet cleaning can make a significant difference in the feel and appearance of their homes. Therefore, it is critical to hire the best technicians. In terms of how often they should clean their carpets, homeowners in Chattanooga can rely on the Environmental Protection Agency’s guidelines. It is recommended by the EPA that your carpets should be cleaned based on your household and lifestyle. The following is the agency’s recommendations: – Non smoking, two person household: clean the carpets one or two times a year – Smoking, two person household: clean the carpets three times a year – Family that has young children: clean the carpets two times a year. – Family with pets and/or children: clean the carpets 3 to 4 times a year. For people with respiratory illnesses, allergies or shedding pets, their carpets might need to be cleaned more frequently. Chattanooga Carpet Cleaners, LLC is an honest carpet cleaner that can make an assessment of your home and give you our recommendations. They came to clean our carpets this morning and they were professional, friendly and did a great job. We will for sure use them again. We service all of South East Tennessee and North West Georgia including, Delano TN, Ocoee TN, Hixson TN, Whiteside TN, Rising Fawn GA, Wildwood GA, Cisco GA, Lookout Mountain GA, Varnell GA, Bakewell TN, Coalmont TN, Pikeville TN, Gruetli Laager TN, Tracy City TN, Chattanooga TN, Soddy Daisy TN, Charleston TN, Trenton GA, Eton GA, Palmer TN, Georgetown TN, Pelham TN, Dayton TN, Whitwell TN, Reliance TN, Fort Oglethorpe GA, Watts Bar Dam TN, Oldfort TN, Ten Mile TN, Monteagle TN, Cleveland TN, Conasauga TN, Flintstone GA, Copperhill TN, Rock Spring GA, Dunlap TN, Decatur TN, Farner TN, Benton TN, Tunnel Hill GA, Ducktown TN, Crandall GA, Signal Mountain TN, La Fayette GA, Graysville GA, Ooltewah TN, Rossville GA, Turtletown TN, Ringgold GA, Collegedale TN, Beersheba Springs TN, Tennga GA, Spring City TN, Rocky Face GA, Sale Creek TN, Birchwood TN, Evensville TN, Mc Donald TN, Altamont TN, Dalton GA, Harrison TN, Cohutta GA, Apison TN, Grandview TN, Chickamauga GA, Lupton City TN, other areas.